When Isaiah throws out the higher-ways-of-God argument [in Isaiah 55:6-9], it isn’t to defend the vengeful punishment of God, it is to defend the abundant mercy of God! To take this text and use it to defend a conception of divine justice and goodness that certainly seems much worse than any human understanding of justice and goodness is to use this text for the opposite purpose than it was originally intended. If we take the context seriously, and we should, the higher-ways-of-God argument can be more appropriately used to defend the universalist position than the traditionalist one. 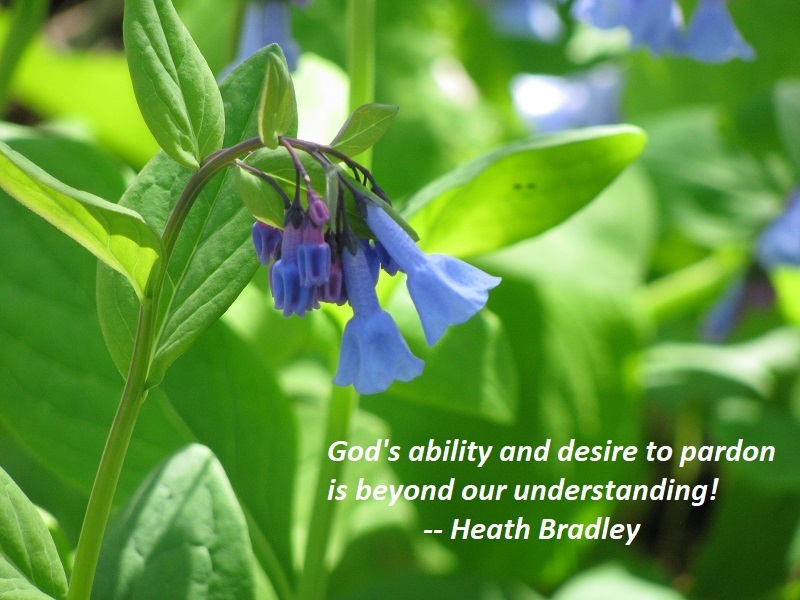 God’s ability and desire to pardon is beyond our understanding! It’s hard to like someone who doesn’t return the favor. In order to rejoice in the Lord, it helps to know that He also rejoices in us. More than just rejoicing, He delights in us. 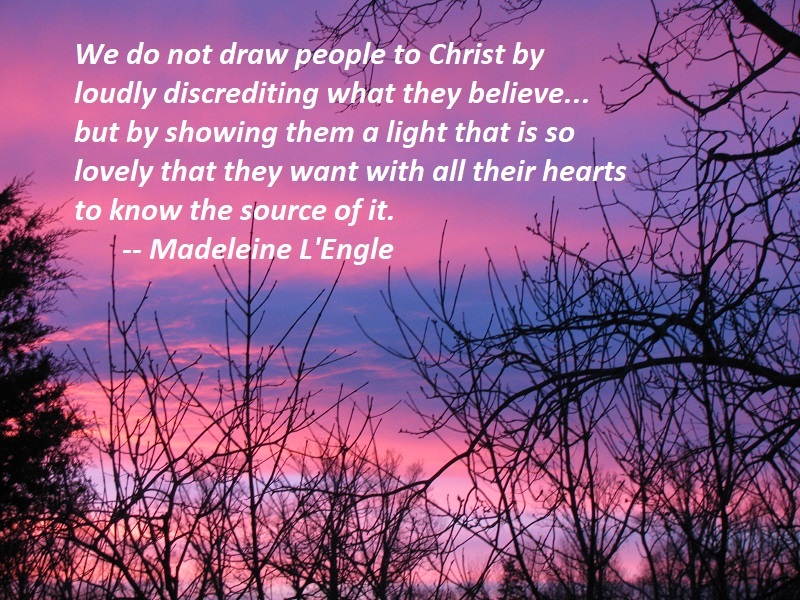 Delight is a good, honest word that circumvents any phony spiritualizing of the word rejoice. If we rejoice in the Lord for theological reasons rather than with frank warm-heartedness, we’ll presume that He’s the same way — rejoicing in His people out of covenantal obligation, while in His heart barely able to tolerate our waywardness. How absurd! When the Bible says “The Lord takes delight in his people,” we should picture a big, sloppy smile on God’s face and fireworks going off around His throne — all for you and me! 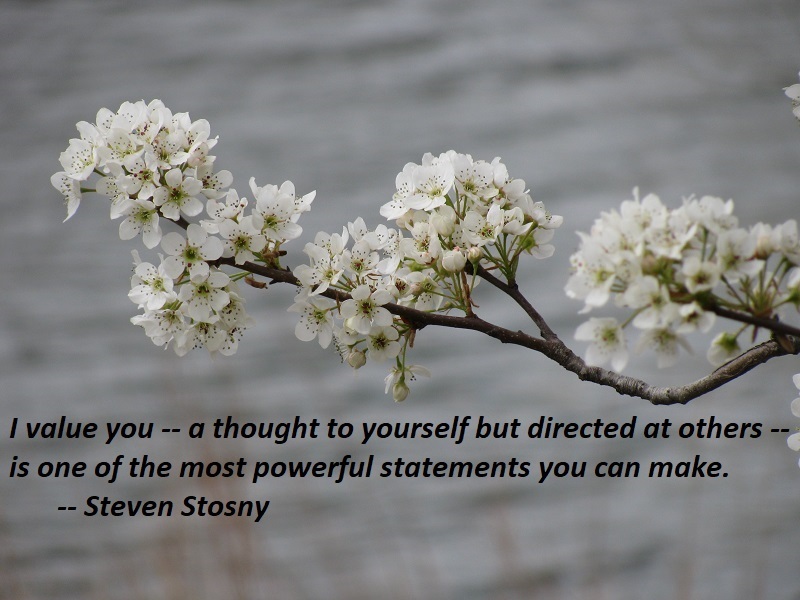 I value you — a thought to yourself but directed at others — is one of the most powerful statements you can make. In the long run, your contribution to the Web of Emotion will improve family life and help build communities. You will soar above as you make the world a better place. Every area of your life will improve if you wake up each morning thinking, I will spread good in the world today. Jeff, like so many of us, is changed by the word of grace that he hears in church. He is formed by the Word of God. He is given a place where he is told by others that he is a child of God. He is given a place where he can look other people in the eye, other annoying, inconsistent, arrogant people in the eye, hand them bread, and say, “Child of God, the body of Christ, given for you,” and then he, in his own arrogant inconsistencies, has a frame of grace through which to see even the people he can’t stand. 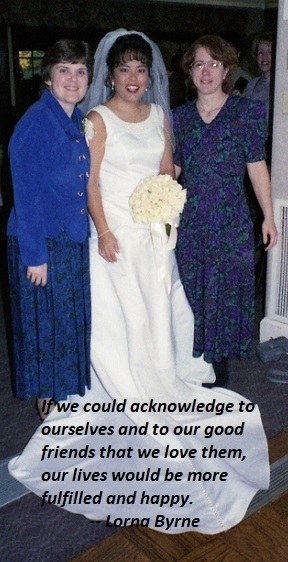 I argue that this wouldn’t just happen alone. 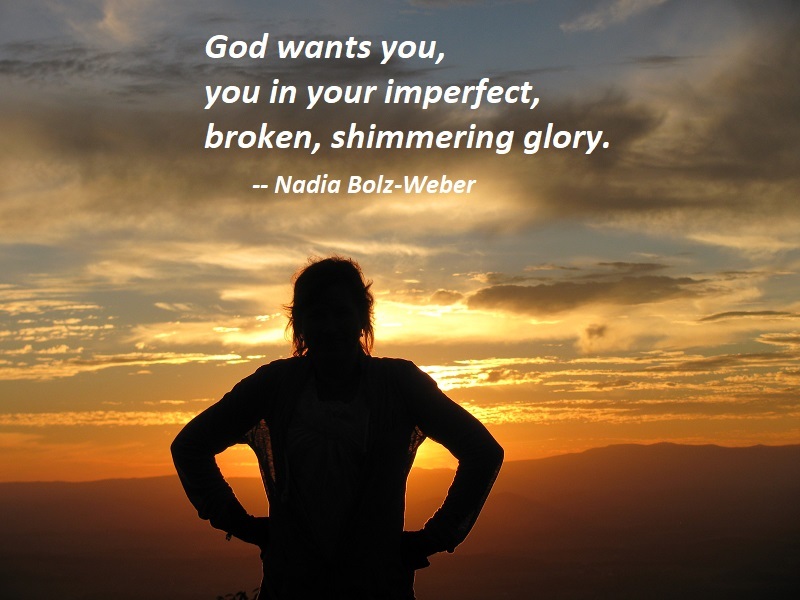 God wants you, you in your imperfect, broken, shimmering glory. 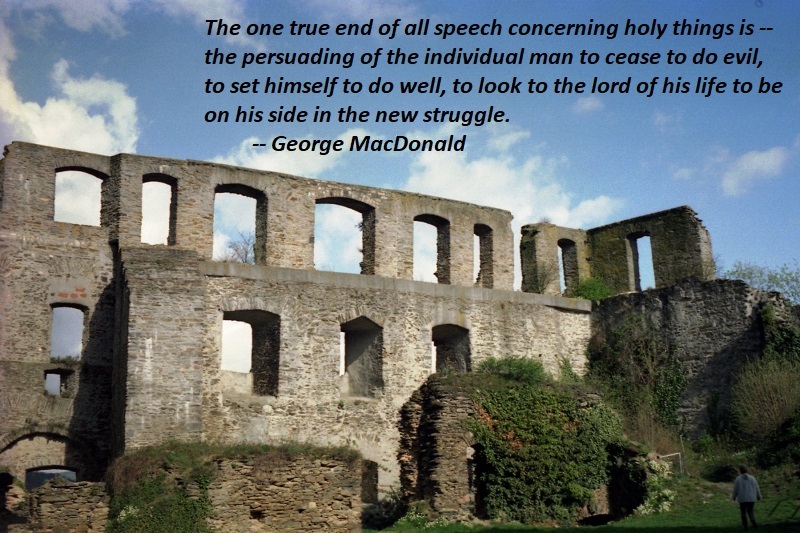 The one true end of all speech concerning holy things is — the persuading of the individual man to cease to do evil, to set himself to do well, to look to the lord of his life to be on his side in the new struggle. Supposing the suggestions I have made correct, I do not care that my reader should understand them, except it be to turn against the evil in him, and begin to cast it out. If this be not the result, it is of no smallest consequence whether he agree with my interpretation or not. If he do thus repent, it is of equally little consequence; for, setting himself to do the truth, he is on the way to know all things. Real knowledge has begun to grow possible for him. Emotional pain serves the same positive function as its physical counterpart. Feeling disregarded, guilty, devalued, or unlovable prompts you to raise self-regard, compensate for any bad behavior, increase your competence, and be more loving. If you do those things, or merely think about doing them, the pain subsides. If you don’t, it gets worse and worse until it goes numb. I’m not saying that you have to increase loving behavior toward the partner who betrayed you; that would be too risky in the early part of your recovery. To relieve the pain of feeling unlovable, try to be more loving toward your children or parents or friends, or anyone whom you can love with minimal risk. 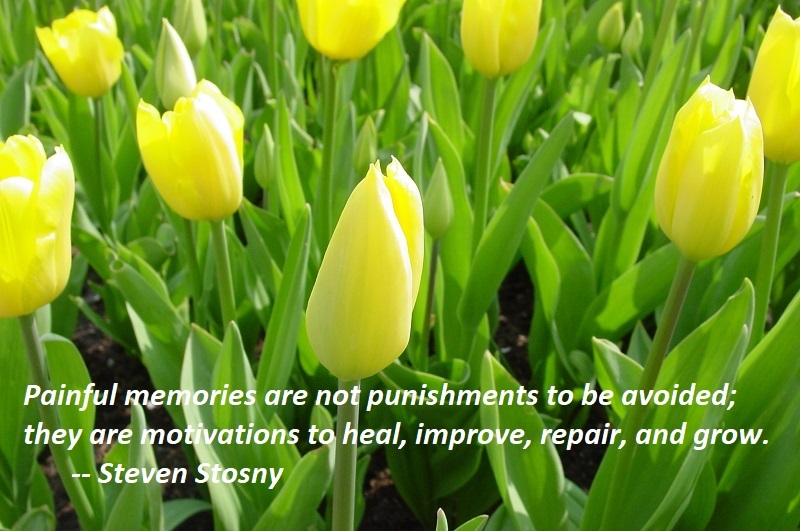 If you want to exploit the motivational advantage of emotional pain, you cannot view painful memories as punishments inflicted by others or as self-punishments for past mistakes. They are not punishments to be avoided; they are motivations to heal, improve, repair, and grow. 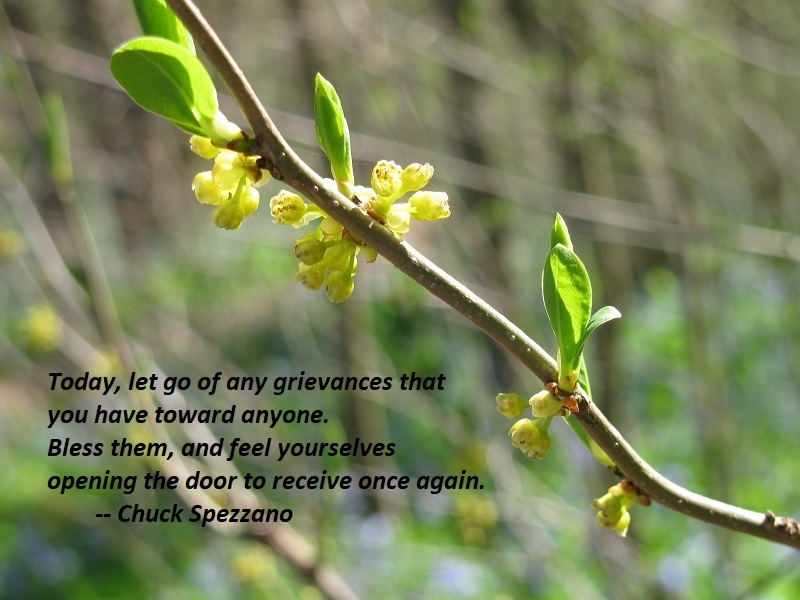 Today, let go of any grievances that you have toward anyone. Bless them, and feel yourselves opening the door to receive once again. Feel all of the love that comes through this doorway, feel all of the abundance that is coming toward you. Jesus was innocent, yet he died the death of the guilty. But notice what overall narrative frames this statement (in 2 Corinthians 5:21). It is not the quasi-pagan narrative of an angry or capricious divinity and an accidental victim. 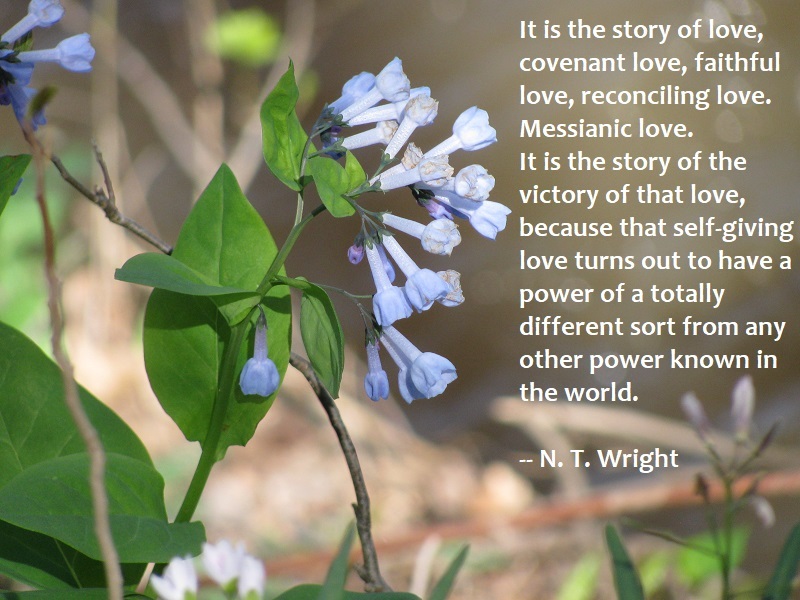 It is the story of love, covenant love, faithful love, reconciling love. Messianic love. It is the story of the victory of that love, because that self-giving love turns out to have a power of a totally different sort from any other power known in the world (which is why Paul is happy to say that he is strong when he is weak). You are currently browsing the Sonderquotes blog archives for April, 2018.